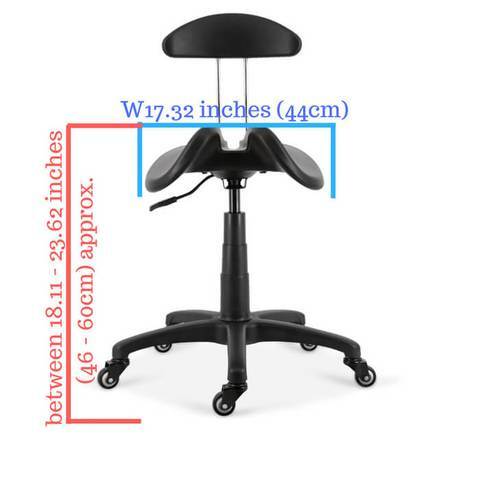 Working at a desk for long hours can cause aches and pains, as you inadvertently end up sitting in a bad posture. 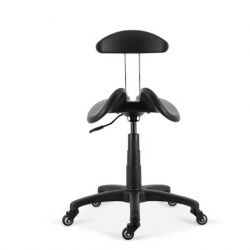 This Two Part Saddle Seat Stool with Backrest helps you to sit healthier. 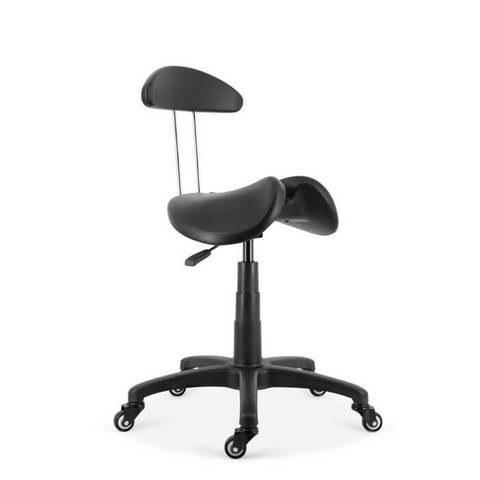 This split seated saddle Stool with a backrest is a unique seating solution for when you want freedom of movement at work, without being slowed down by accessories like arms or armrests. This revolutionary design that completely changes the way that you sit.